In southeastern Europe, across the water from Turkey, lies Greece and the Greek Islands. 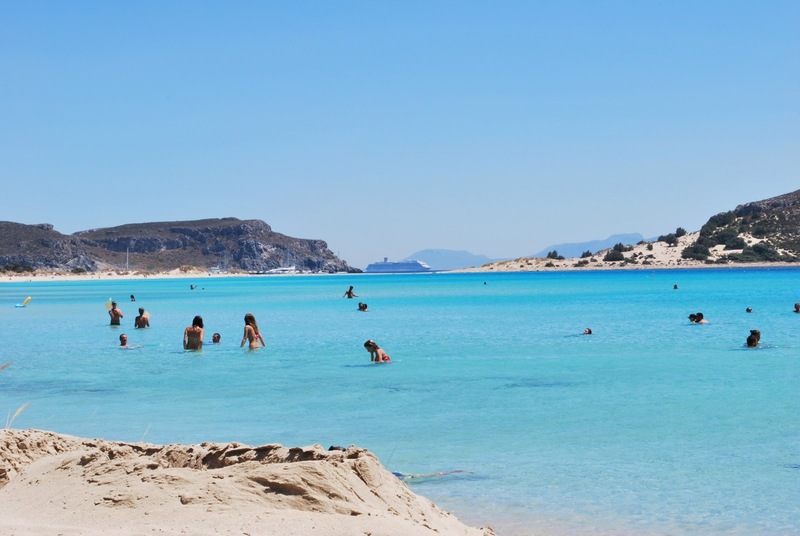 Greece continues to be one of the most sought-after destinations for vacations. Read on to find out why Greece is the last word in family holidays. First of all, one of the biggest pull of all those little islands is that they are situated in the beautiful Aegean sea. The Aegean sea is like the ocean that you see on postcards. It’s blue and deep and surrounded by beautiful sandy beaches and quaint little towns. It’s also so clear that you can see the fishes and marine life that surrounds you in the water. In fact, in most places, the weather is so good and the current so favourable that the sun actually gets the chance to warm up the water. This makes it more like a pleasantly warm bath, instead of the freezing endurance test we are used to in the UK. Another huge boon for taking the family to Greece is that many Greek beaches slope slowly away into the sea. This creates warm shallows in which the kids can play and swim. They can also learn to snorkel here and check out the underwater activity that is common at that shoreline. Of course, food is a major part of any family holiday. If you are concerned that there won’t be enough choice for your little ones, don’t worry. In fact, there are a lot of English style dishes on offer that will satisfy even the pickiest of eaters. However, it’s unlikely that you’ll need to resort to pie and chips as the Greeks are known for their excellent cuisine. Many a holidaymaker has returned from the islands having realized that they do in fact enjoy all sort of culinary delights and the Mediterranean Diet is recognised as being extremely beneficial for the health conscious, with the possible benefit of a longer life too! Fruits and vegetables such as Kalamata olives, tomatoes and pepper are all sweet from being grown in the glorious sun. So your kids may return home with a far more sophisticated palate than when they arrived. Accommodation in Greece varies in style and type depending on your needs. There is bed and breakfast accommodation in places such as the local taverna or hotel rooms in towns like Lindos and Lardos, suitable for couples or friends sharing. Then there are plenty of self-catering apartments for families in the larger centres of the islands like Rhodes or Mykonos town. Or if you are looking for more privacy then you might choose one of the Santorini villas on offer, most of which include a private pool. If your little ones get bored, easily there is plenty to see and do in the Greek Islands. There are plenty of long coastal walks to pretty villages on most islands that you can do. Or what about visiting a live volcano or some ancient ruins? There are also plenty of water sports to take part in. Jet skis can be hired from stations on the larger beaches. Or how about taking a day trip on an old-fashioned sailboat. One of the highlights is getting to jump into the ocean from the deck, but be warned the sea isn’t always quite as warm that far out! Family holidays in Greece offer something for everyone.